Use Staz-On ink along the edges of the tiles, as well as stamp the design. There are a number of ways to create a beautiful trivet that can be, not only useful, but a piece of decorative art as well. 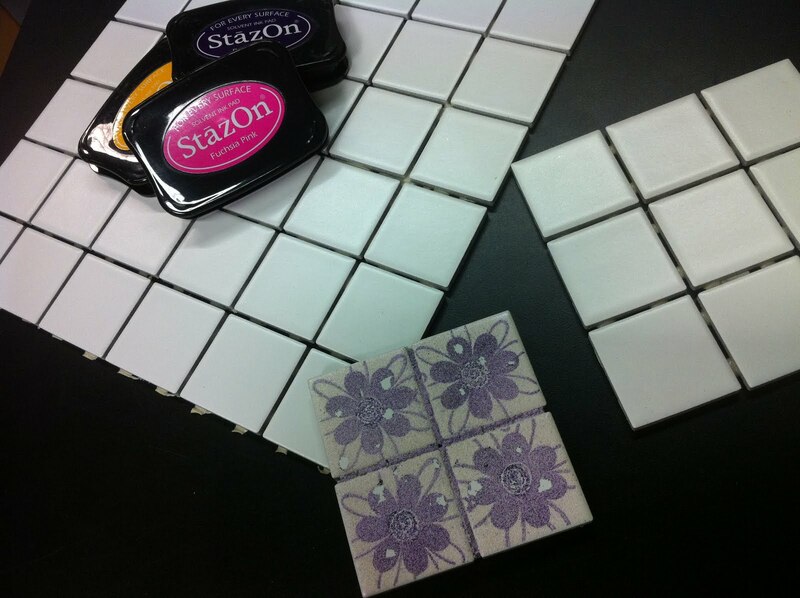 If you are using a mosaic tile, decide on the size for your project and cut the remaining tiles away. Measure the full size of your tile(s) and use that measurement to cut a piece of chipboard and felt/fun foam that is 1/2" SMALLER than your tiles. 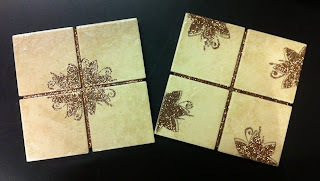 Use glue gun or E6000 to secure the chipboard directly to the back of the tiles. Glue the felt/fun foam on top of the chipboard. This will prevent your trivet from damaging or scratching your table or counter top. 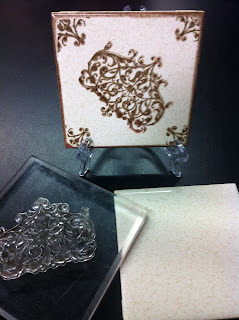 Use Staz-On solvent ink to stamp images onto your tile. If you plan on adding glitter to your project, this it the time to apply it. Shake off any excess and set aside to let dry. Once your tile is dry, use a glue gun to apply glue into the spaces between the tiles. While it is still hot/wet apply glitter again. Once the glue has hardened, carefully brush away any excess glitter. Spray with a clear acrylic. Set aside and let dry. Prepare the back of the tile as you did above (steps 3-5). Spray with an clear acrylic to seal your image(s). 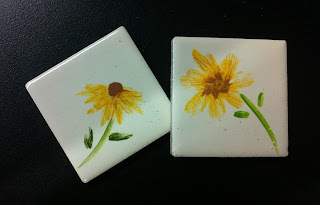 Cut small mosaic tiles apart using your craft knife and cutting mat. 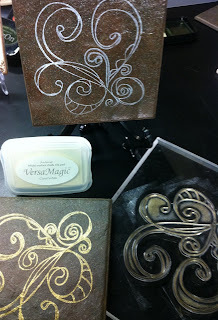 When stamped images are dry, spray with a clear acrylic to seal design. 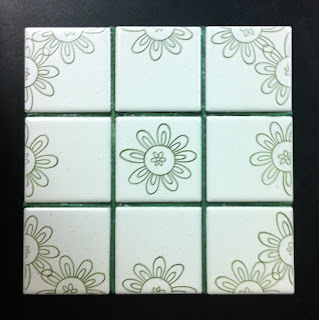 Use E6000 to secure a button magnet to the back of each tile. You can also use acrylics to paint your own design onto the tiles, as shown here. Add magnets to the back. Thank you for posting this. These are just the directions I was looking for!